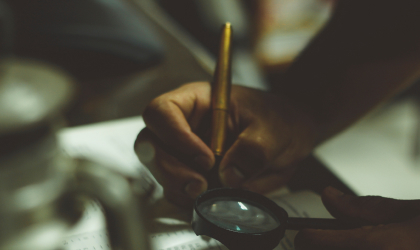 Value-based pricing requires determining what your customers truly value, we outline the steps you'll need to take impliment this form of pricing. 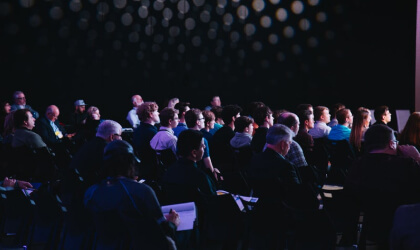 Before your launch, a key question should be “what do my customers value?” Especially in terms of pricing, as it’s crucial to learn the ideal price-point to draw them in. But you’ll also need to be aware of what additional offers, plans or discounts you can promote to convert people. 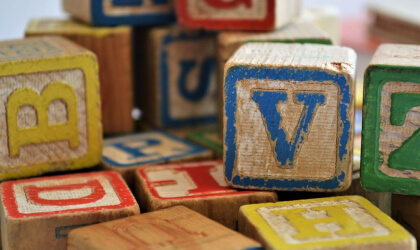 To determine what your customers really value, you have to talk to your customers. Gauging their favourite features, you’ll need open-ended questions and long answers, as yes/no will only get you so far. You really want to highlight what people really value, and their feelings on the product. You will also be gauging their willingness to pay (i.e the highest price they’re open to pay for your product/features). This allows your to work out what your base price would be. You get to that by finding out at what price your product becomes too cheap/too expensive. If you’re not able to talk in person, surveys are another method of gathering feedback. 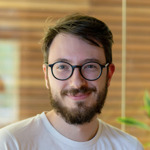 Ideally, you want to be using a survey that allows you to find out what features people rank as high and low priority, all of this needs to be segmented by persona: e.g your B2C audience may want something simple with basic stats but doesn’t want to pay too much, your B2B audience wants teamwork and configurability and is ready to pay a lot. Essential features: These are ranked as high priority by customers, but they have a low willingness to pay extra for them, because they feel like this is the core of the product. Differentiator features: Useful when finding out what could be swapped between basic and pro tiers. As there is a high value and a high willingness to pay, this will help you differentiate your product from the competition, and justify a higher price. Add-ons features: Things that a niche of your customers people want and that they’re very willing to pay for. You could package these add-ons, for example an automated data backup, and price it separately to avoid appearing too pricey to other customers who don’t need the feature. There is also your fruitless features, which add no value to the product and are disregarded when asked if they’d pay extra for them. Simply avoid building or marketing them. Once you know where their willingness to pay is, you’ll be able to charge more for certain features because you can increase the appeal of your product by focusing your positioning and pricing of key features. You could equally have a pro version or simply charge more for everything and have marketing focus on the valuable aspects. Need inspiration for pricing questions? Check out this pricing survey template. It covers willingness to pay, as well as allowing you to figure out what customers need to have and their valued features (what people will pay extra for). You’ll also need to ask some demographic persona questions asking their age, gender, role in a company (if B2B), how they use similar softwares, etc. This tier is for those looking for their first taste of Avast, they’re happy with a basic level of security and are looking to test-drive the product. 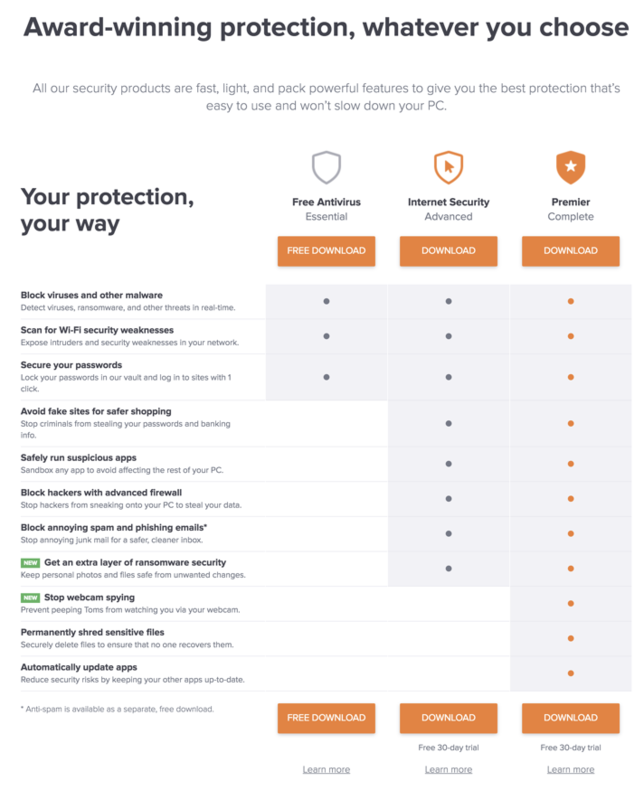 In our list of features above, Avast has made sure that the “essential features” quadrant would all be in this free tier, to attract as many potential customers a possible. This tier of customer wants some new features, but is willing to wait for everything else. They need to upgrade from free because security has become more of a priority for them. This is where Avast adds most of the “differentiator features” that people will really want to pay for. This is the tier that wants all the new features, especially those listed as new. They want computer protection on all fronts including email, desktop and webcam. The ability to automatically update other apps is key, because once you’re paying a high price you want to save yourself extra hassle. Need a fix instantly, no demo needed. People with a clear idea of features they want. No clear idea, just want to test the product out. For quick fix purchases purchases, buyers might be more willing to take a leap. For spec based decisions, how the product is positioned on the website (and the support to the buyer receives through their customer journey) is what seals the deal. When trying to capture “window shopping” customers, a trial can definitely make the difference. When choosing between offering a free trial or a product demo, the time incentive of a trial can often speed up the buying decision. In a trial scenario however, you should think carefully about how long it would take a customer to see the value of your product. 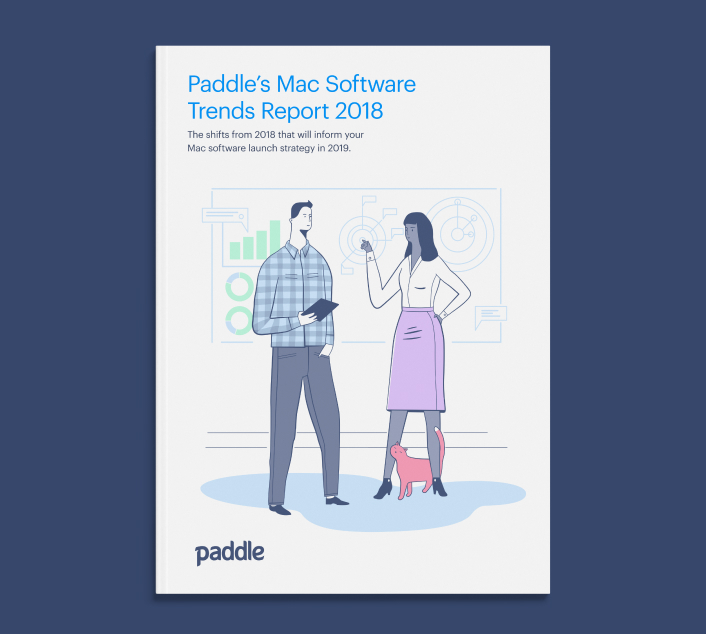 By ensuring that the customer is immediately able to test out the major features of your product - you’ll maximise the chances of converting them. 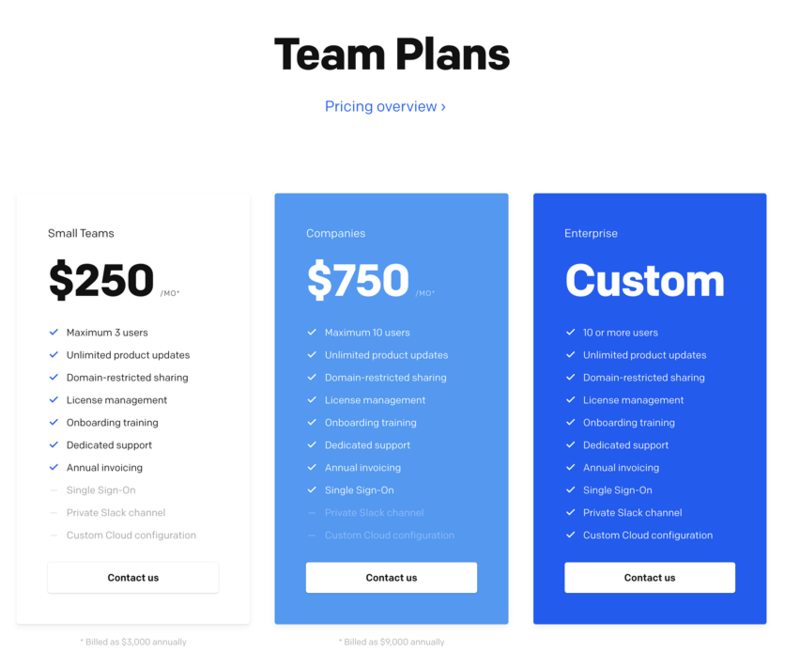 Let’s breakdown the pricing page of a successful software product; Framer, an interactive design and prototyping tool to see how they do things. On your first visit to their page, their positioning highlights that you can try the app for free before purchasing. We haven’t even been told a price for the full version yet. Framer encourages customers to “try before they buy”, to see what the software is for themselves. If customers are further along in the buying funnel (determined by their journey through the website), the demo video is a great touch to show off Framer’s benefits to any designer looking to use it. Moving onto Framer’s separate pricing page, which is an essential way to help customers make instant decisions about whether you’re software is in the right price range for them. This also saves your potential customers the hassle of having to scour numerous pages to simply find the price of your software. 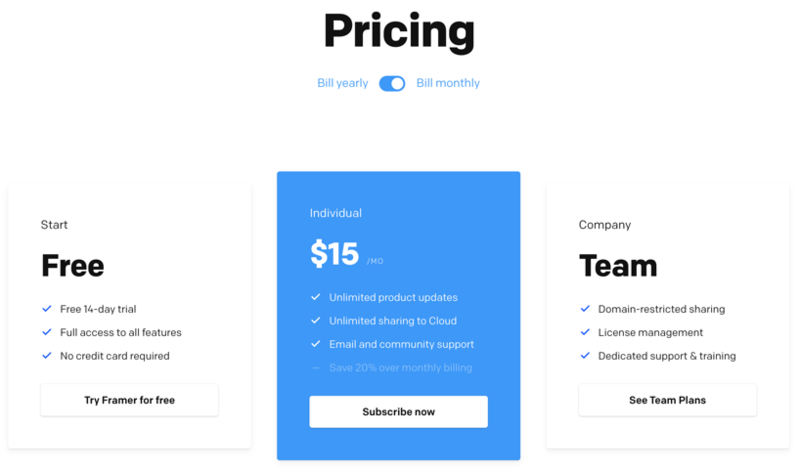 On Framer’s page they’ve streamlined comparing the prices for paying monthly versus yearly billing, allowing potential customers to see that they’d be saving 20% by paying yearly as opposed to monthly. If you’re not yet ready to make a purchasing decision, Framer makes its easy to start by utilizing their free trial, which starts downloading as soon as you click the button. This style of trial doesn’t allow you to measure customer conversions through email demo codes, but does allow the more nervous customer (wary of giving their email away) the chance to sample your product first. Framer have also segmented customers that would be coming for the individual versus enterprise package. Their “Teams” page is separate, as these 2 personas will easily self-identify as an individual or a company, and not be confused by too many plans on the same page. The team plans then emphasize how much added value you gain, above just getting the Framer software. 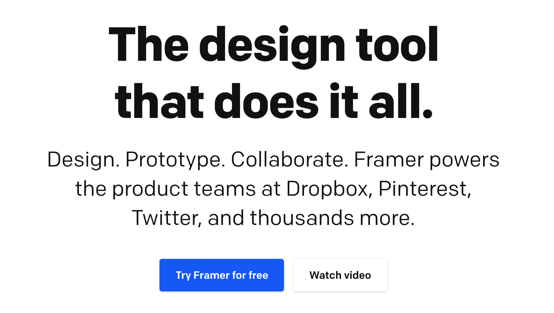 Framer then allows potential customers to see quotes from industry players, further pushing its value in convincing them that Framer will be a crucial aid to their design problems. Communicating the value you offer is key to value-based pricing, for further reading we recommend our guide on customer personas to aid your customers to articulating what they truly value.